Sens. 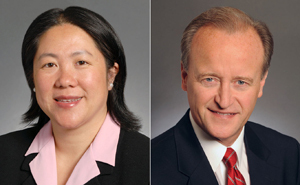 Mee Moua (DFL) and Warren Limmer (GOP) were their respective parties’ legislative per diem leaders in the 2009-10 biennium. Moua claimed $35,000 in reimbursements, Limmer just short of $26,000. Whether it’s giving themselves pay raises or – in the case of the Minnesota Legislature – increasing the per diem reimbursements available to members, legislative pay has become an increasingly attractive political football during campaigns, especially when it increases alongside the state’s budget deficit. U.S. Rep Michele Bachmann, for example, attacked her opponent, state Sen. Tarryl Clark, ahead of this year’s election for “giving herself a pay raise” at the Capitol by casting a 2007 vote to increase the daily allowance senators can claim for expenses. The per diem hike was a popular point of attack among the mailers sent into lawmakers’ districts at the state level as well. But when it comes to the use of per diems by individual lawmakers, the practice is much more bipartisan than it’s made to appear on the campaign trail. Very few lawmakers abstain completely from taking their provided per diem – $96 per day for senators and $77 for representatives – to supplement their $31,000 per year salary, although some do take more than others. And, in the broad scheme of the budget, the nearly $4 million in per diems taken since 2009 is a drop in the bucket, all political rhetoric aside. In 2009, members of the Minnesota House took more nearly $1.3 million in per diem payments, slightly more than in 2010 ($1.023 million), for a grand total of $2.3 million for the whole two years. The Senate took home $904,000 in 2009 and $710,000 in 2010, for a total of $1.62 million. The top 10 per diem takers in both chambers for the biennium were DFLers. In the Senate, outgoing St. Paul Sen. Mee Moua topped the list at $35,136. Her opposite number in the House, Crystal Rep. Lyndon Carlson, claimed $28,947 during the same period. The top Republican per diem taker in the House was Rep. Greg Davids of Preston, with $22,407, the 13th highest total in the lower chamber. In the Senate, the top GOP figure was Warren Limmer’s $25,728, good for 18th place on that chamber’s list. * In the House, the 47 Republican members took home more than $835,000 in per diem payments for the biennium, averaging more than $17,750 per member. The chamber’s 87 DFLers took home more than $1.47 million, more than $16,900 per member. * In the Senate, 21 Republicans took home about $482,000 for the biennium, or $22,945 per member. 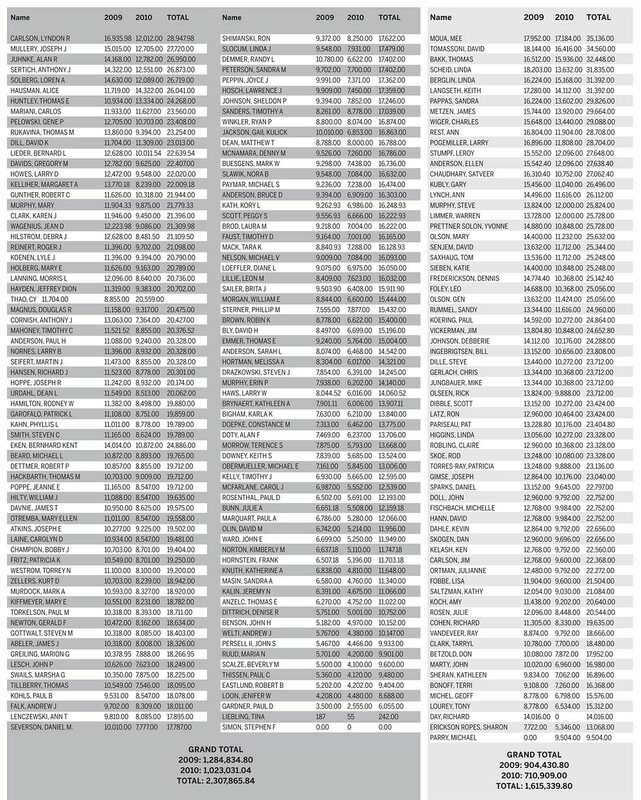 DFLers tallied $1.133 million in per diems, an average of roughly $24,640 for each of the 46 Democrats. DFL Reps. Steve Simon and Tina Liebling had the lowest per diems taken by any Minnesota legislators during the biennium. Simon took no per diems, and Liebling just $242. The Senate’s lowest total was outgoing DFL Sen. Sharon Erickson Ropes’ $13,068 in reimbursements. The story should explain what “per diem reimbursement” means. There’s no explanation of the terminology. Thanks for reporting this. It’s humorous to see how much Minnesota Democrats Exposed distorted this story when Andy Post wrote about it at MDE.